Did you know? This Soapful were made from some 100kgs of leftover soaps from Sunway Hotels & Resort?!! YASSSS.. Normally we used hotel soap around once or twice then we left it there which usually end up in landfills. Therefore, Sunway Hotels & Resorts has found a more sustainable way to repurpose used soaps this will also helps communities in need. 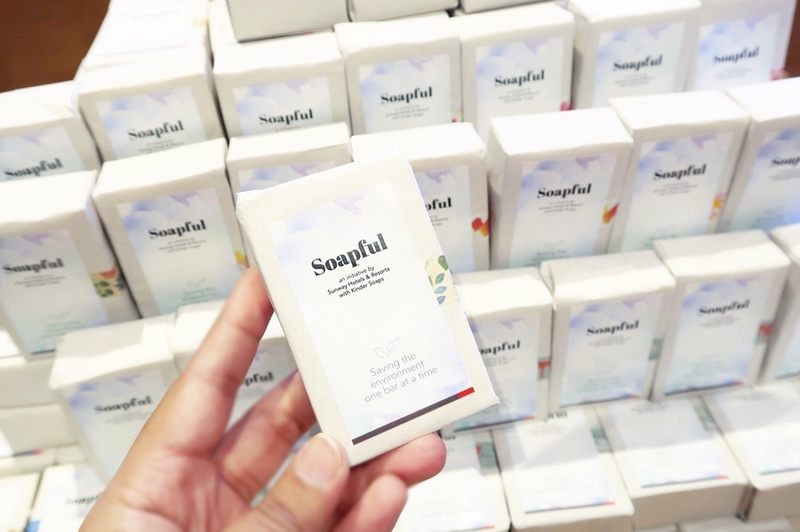 The Soapful project is a collaboration with Ecolab Sdn Bhd, Kinder Soaps Sdn Bhd and the Selangor Youth Community (SAY). Yesterday they presented 1,000 bars of repurposed soap to Pertubuhan Kebajikan Anak Yatim Darul Ehsan Malaysia. (PKAYDEM), under Yayasan Islam Darul Ehsan (YIDE) to kick start the home's social enterprise project. Ecolab will facilitate the collection of used soap bars from the hotels, which are then delivered to Kinder Soaps; processing lab to be repurposed into new bars of soap.Of course this will following stringent standard operating procedures that adhere to safety and environment standard. The Soapful Project main aims it to benefits the environment by removing soap waste from the landfills. This Sunway Soapful Day were graced by His Highness Tengku Amir Shah Ibni Sultan Sharafuddin Idris Shah Alhaj, The Crown Prince of Selangor. The kids from PKAYDEM and I were doing some of the process of repurpose soaps which is grating. 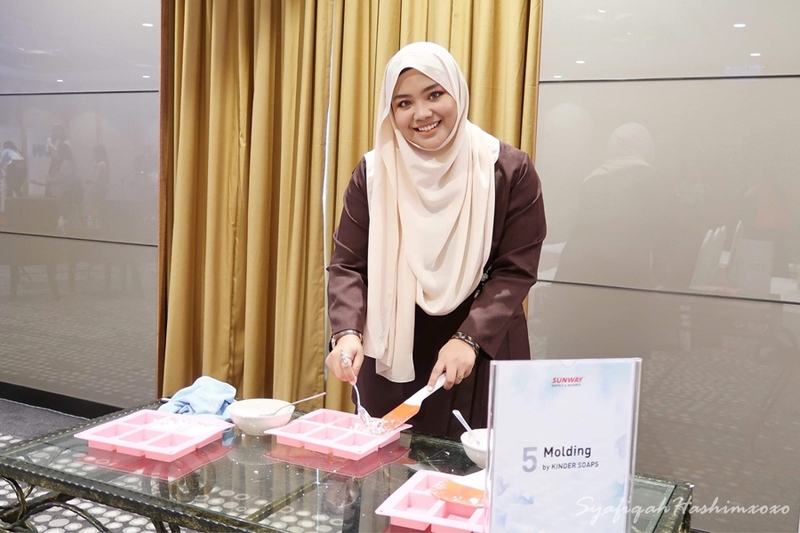 On the Soapful Day, they were demonstration on proper hand washing procedure by Ecolab and experience the method of soap repurposing with Kinder Soaps, together with His Highness, Tengku AMin Shah Ibni Sultan Sharafuddin Idris Shah ALhaj, The Crown Prince of Selangor and children from PKAYDEM. His Highness and children from PYAYDEM doing the packaging method. I'm also don't want to miss this opportunity experience the process of making repurpose soap bars myself. 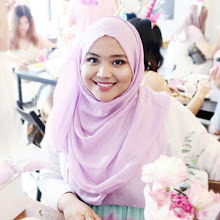 #SunwayForGood #SunwaySoapful project was conceptualized to deliver benefits to the environment, society and the economy in alignment with the hospitality group's commitment to the United Nations Sustainable Development Goals (SDG) which aims to drive sustainable progress that leaves no one behind. This Soapful Project also to helps the children cultivate meaningful business skills that will help them break the cycle of poverty. This will leads to helps the needs to gain their own income for their daily needs especially the children. Kinder Soaps will also be teaching and guiding selected homes on the processes of repurposing used soaps. At the end of the one-year project, the aim and to be sold as part of their social enterprise programmes at charity sales, community markets and their social platforms. 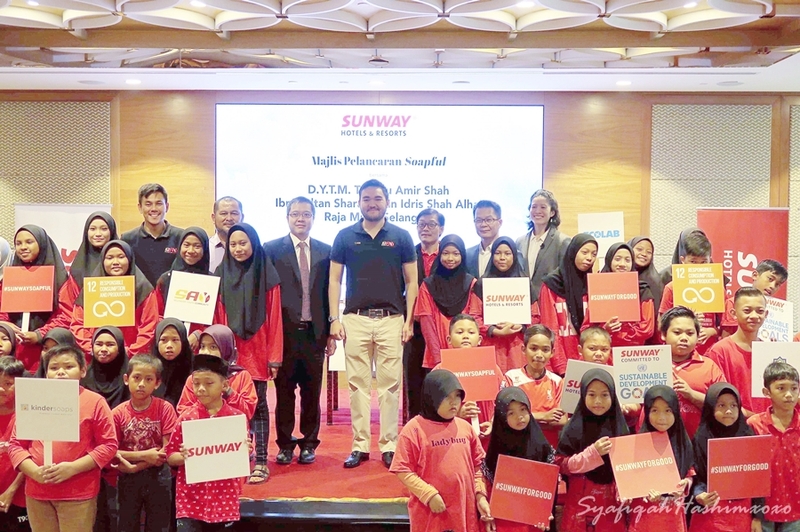 The community programmes are in line with Sunway's pledge to create a positive and far-reaching impact on the nation under the banner of #SunwayForGood, aligned with Sunway's commitment to the United Nations Sustainable Development Goals. This really open my eyes where we can still support those who in need in many ways. This Soapful Project is not only good for the environment but it also helps whose in need. Let's support this good project together! It's a good initiatives by Sunway, SAY and also Kinders Soaps and Ecolab. Hope that they will continue this project. Yeah! I agree with you Kelly@ Not only save the environment but it also helps those in need..
Nice! 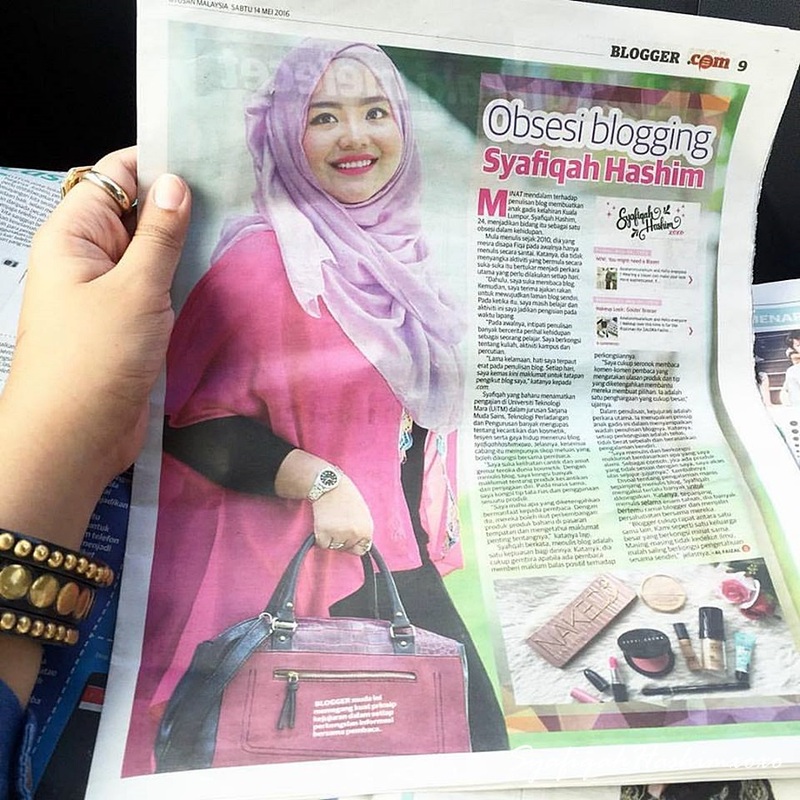 Bagus nya buat program mcm ni. Dpt save kan environment juga by reuse the used items. Sabun2 yg dah remade tu ada jual dekat mana? This idea is just so brilliant! Congrats sunway resort ! !